It has been a big week for Dr. John Gaal. 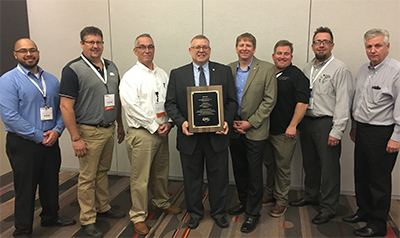 On Monday he received the Board of Directors Award from the Construction Forum Education Foundation. Thursday he received a lifetime service award from the Association for Career and Technical Education (ACTE) at that organization’s annual conference in San Antonio. Dr. Gaal has devoted over 25 years to workforce issues, from apprenticeship, to mental health and drug addiction, to safety to diversity. His work has gained international recognition for St. Louis. He announced his retirement from the Carpenters this month. Through January he will assist Ron Tierney, program coordinator St. Louis Carpenters Joint Apprenticeship Program, who was named to the director’s position. Gaal is credited with both the formation and early success of the St. Louis Construction Industry’s BUD program. He has also initiated innovative programs to bring paroled felons back into the workforce and to launch high school students on construction career paths. His passionate belief in apprenticeship and construction trades as a career path have twice taken him to White House labor conferences. He has become nationally recognized for his pursuit of his convictions that mental health and opioid addiction should be addressed as any other health issue. Gaal is the director of training and workforce development for the St. Louis-Kansas City Carpenters Regional Council. After an abortive pass at community college, Gaal completed his own US-DOL-approved apprenticeship in carpentry nearly 35 years ago. He returned to school to complete associate, bachelor and masters degrees before earning his doctorate and completing a post doctoral program at Harvard. He was named to his current position with the Carpenters in 2003. 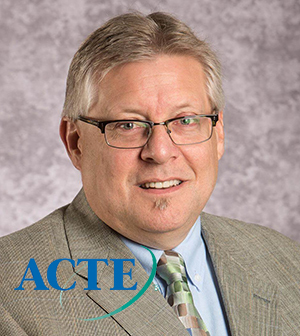 He currently serves as president-elect of the International Vocational Education and Training Association, on the National Skills Coalition’s National Advisory Panel, and as the apprenticeship representative for the Missouri CTE advisory committee. Since 1995, Gaal has visited Mexico, India, Germany, China, Japan, Switzerland, Finland, Canada, Malaysia, Singapore, and England to study their CTE (TVET) and/or apprenticeship programs. In May 2015, he received the National Labor and Employment Relations Association Fellow Award for his lifetime achievements. Gaal is a two-time Fulbright (Specialist) Scholar in Labor and Industrial Relations (Tokyo: 2010 and Toronto: 2015). He is in his 23rd year as an adjunct professor of labor-management relations at Webster University.